Christmas is a wonderful time of the year! It is the time for celebrations, indulgence, and spending quality time together with your family and friends. Make your Christmas even more special and memorable this year with a personalised Christmas Gift! Finding the perfect Christmas gifts for him or for her doesn’t have to be a difficult task this year. 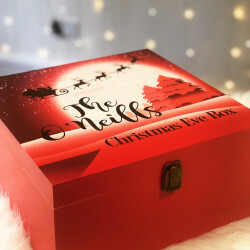 Here at Made With Love and Sparkle, we provide a hand-crafted and curated range of beautiful, festive, and high-quality personalised Christmas presents. Whether you are buying a Christmas gift for your friends or family, you can be sure that our collection has something for everyone. On top of these festive gifts, you can also add your personal touch to go that extra mile, whether it’s adding a recipient’s name or even a special message. Why Choose Our Personalised Christmas Gifts? If you’re looking for the best Christmas gift ideas, then maybe our festive range of bespoke presents can spark some inspiration. Our collection features everything from personalised glass bauble decoration sets and custom engraved acrylic block gifts, to bespoke family tree photo frames and tailored bottle opener plaques. Whether you are buying Christmas gifts for him or for her, our range has the right gift for this special occasion. With years of experience in hand-crafting bespoke Christmas presents, you can be sure that we can provide top quality presents that are not only designed to impress but have also been treated with care. 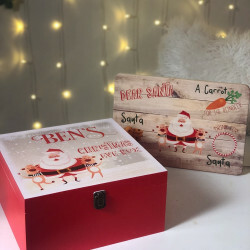 Personalising your Christmas present can be as easy as adding someone’s name to the gift, adding a special date, or even adding your own special message to make it more personal. Don’t forget about our UK-wide delivery! When you order a personalised Christmas gift, we can deliver your present straight to your door, wherever you are in the UK.